Good morning, everyone! 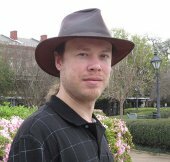 Today I’m welcoming author Bryan Hall to this patch of virtual real estate, and a guest post by him regarding his new book, The Girl, the second in his Southern Hauntings Saga, published by Angelic Knight Press. Take it away, Bryan! Some of you may be aware that myself and a couple of my writing friends (Armand Rosamilia and Billie Sue Mosiman, to be specific) get together on a weekly basis with one or more people from the writing community and talk books, mainly from the perspective of a reader. That discussion is called ‘The Pub’ and is hosted on my site. The reason I bring that up is because one of our first discussions ever was about hooks in novels or novellas. Over the course of the conversation some guests made some great comments in the comment section and joined in the discussion. It got me thinking about The Girl, out today from Angelic Knight Press. The Girl is part of The Southern Hauntings Saga and is the first real introduction to what the main character–Crate Northgate–is going to have to deal with over the course of this series. In that initial discussion we talked about how important it was to get those hooks sunk deep into a reader quickly so that they don’t set aside your book and pick up a different one. But one particular commenter–I can’t credit him properly since he didn’t leave his real name–added some very valid points as well. Pick up a Stephen King novel. I’m sure you’ve got one and if not, that’s okay too. Plenty of other writers will fit this exercise as well. Start reading through it. Now, you’ll notice one of two things. 1. If you’re reading an old King novel, odds are the first pages have something to draw you in–to hook you nice and tight. ‘salem’s Lot has the tall man and the boy in Mexico and it leaves you wondering how they got there, urging you to read on. 2. If you’re reading a newer novel, or even one from the nineties, there’s a good chance the hook isn’t there. That’s not always the case, of course. Under the Dome gets going pretty damn quick, and some of his other stuff does as well. But Misery? Gerald’s Game? Nope. Hell, even my personal favorite The Shining takes a while to get going. The point? Well, as our mystery commenter pointed out, style goes a long way towards drawing a reader in and keeping them there as well. Some writers–like King–have a unique style that some fall in love with (some happen to hate certain styles as well, obviously). Another wrinkle in this idea is simply that as King’s career progressed he didn’t have to work as hard to hook readers. They knew the goods were coming, and they’ll wait through one hundred pages of character development and backstory to get to it if need be. With The Girl, I had to create two hooks. I had to hook readers into the story of The Girl itself. I hope I did that with the use of the main character and the overall mystery that drives the narrative. But I also had to hook readers into the Southern Hauntings Saga as a whole. As it stands I plan on this series running five or six books long. The number could change, but that’s the figure I have in mind right now. Hopefully this story and the mystery of Crate’s past hooks you in and makes you want to find out more. If so, I’ve done my job. If not… well… I just hope it does. Either way, I hope you enjoy the story and take the time to check it out. 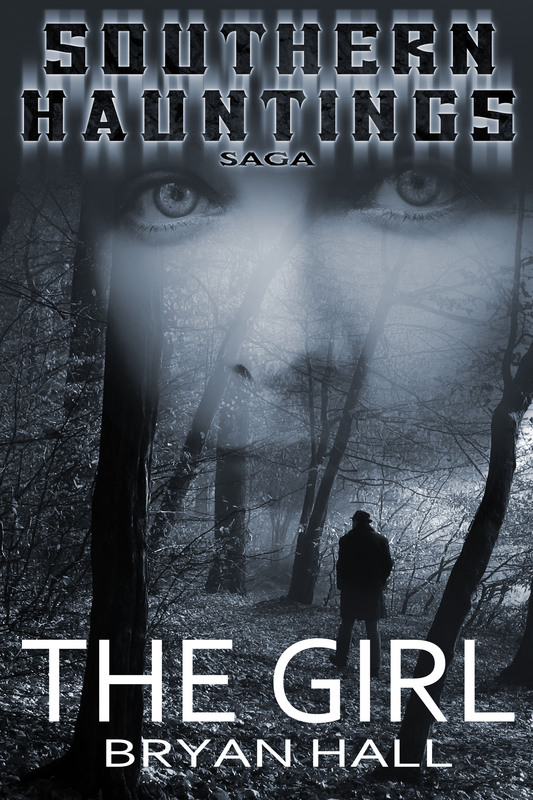 The Girl is available from Amazon.com (U.S.) for Kindle and from Smashwords (multiple e-book formats). Bryan Hall is a fiction writer living in a one hundred year old farmhouse deep in the mountains of North Carolina with his wife and three children. Growing up in the Appalachias, he’s soaked up decades of fact and fiction from the area, bits and pieces of which usually weave their way into his writing whether he realizes it at the time or not. 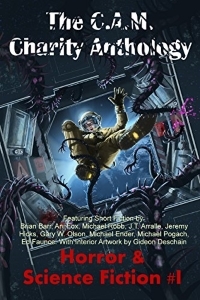 He’s the author of the sci-fi horror novel Containment Room 7, the collection Whispers from the Dark, and the upcoming Southern Hauntings Saga. You can find him online at www.bryanhallfiction.com and learn more about the Southern Hauntings Saga at www.whoiscratenorthgate.weebly.com. 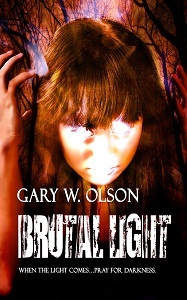 Gary W. Olson is the author of the dark fantasy novel Brutal Light. His blog originates here. Guest post written by Bryan Hall. Cover art for The Girl by Rebecca Treadway. What great insight, Bryan. I’ve noticed the same thing about “hooks” with some of my favorite authors and their novels as time goes on.